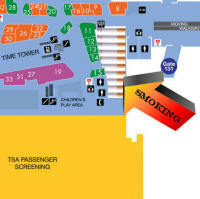 E-Cigarette use is not permitted in any of the terminals and all the lounges are definitely non smoking. Update from Andy M, Dec 2018: Long journey between Buffalo and Melbourne. Confirming the smoking terrace is still here. Some directions to add to previous updates may be useful. It's not well signed inside the airport. 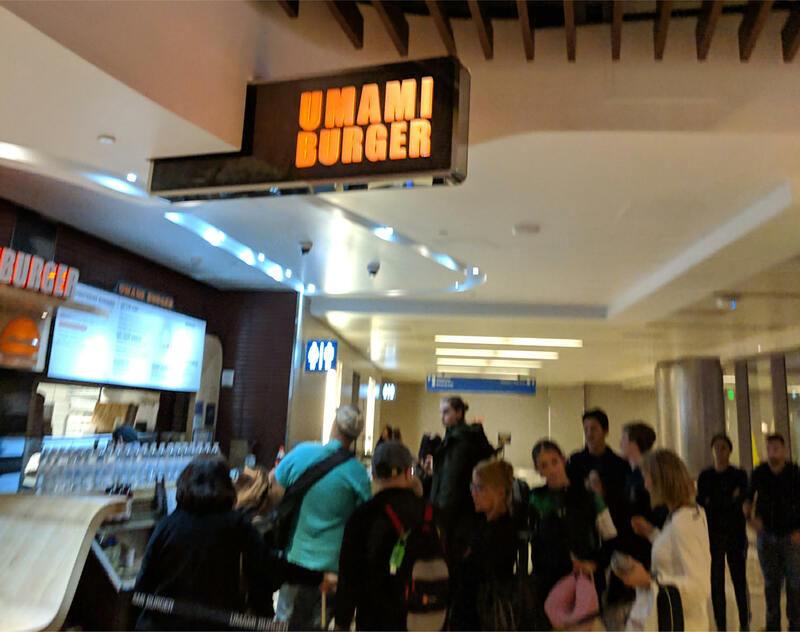 Directions: Aim for the big food court in TBIT near gate 130. Walk through the restaurants toward the back. There's some lifts back there and the sign for the smoking area can be seen from there. Photos Below. 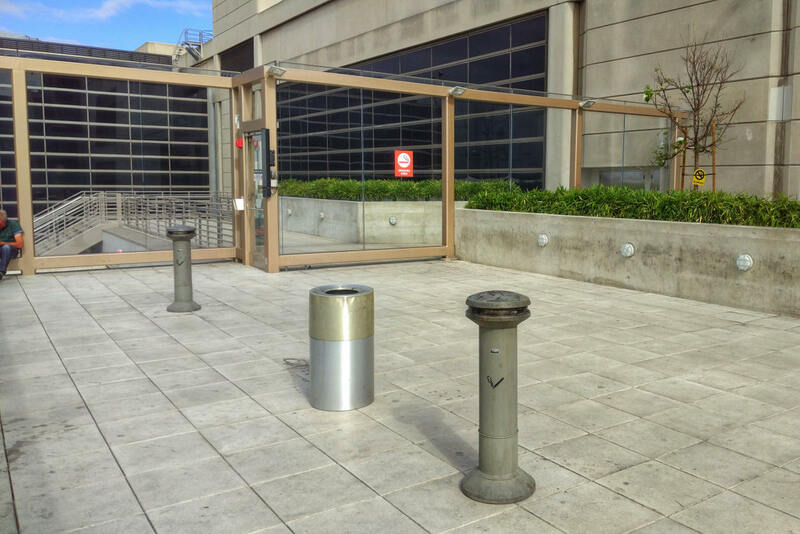 Just to inform everyone that the smoking terrace at LAX TBIT is still there as of June 16th 2018. Attached are some photos (see below). 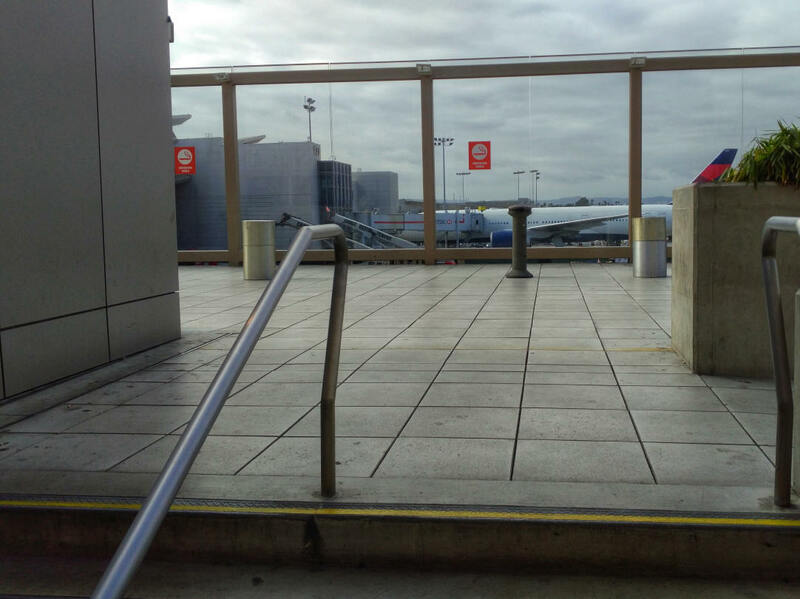 In one of the photos, the terrace is seen from gate 131. 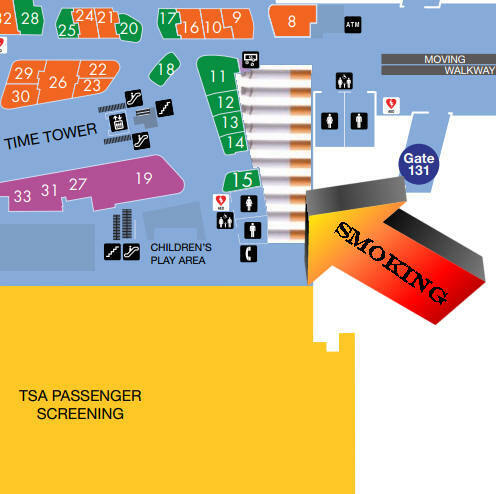 Terminal 2 does not have a smoking area. Feedback provided by Shaun, 17th August 2017. 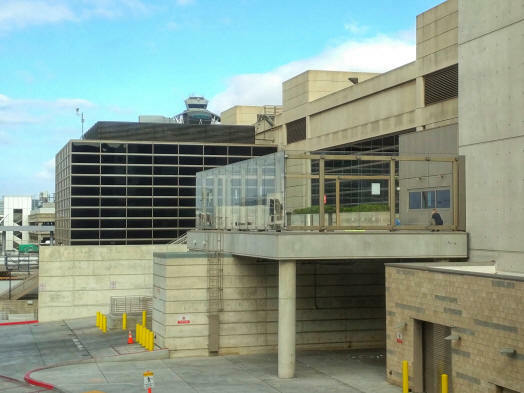 Update from Patrick H. on the 17th Jan 2019: You can walk from T4 to TBIT. The Smoking Area is still here. Distance to walk is about 10 Minutes. would suggest for anyone who’s using Terminal 4 at LAX and has someone who can keep an eye on their belongings to simply go outside the terminal back through security and smoke by the parking lot right across the main entrance. Make sure the security check isn’t too busy and the whole process should take around 15 mins out and back in. Feedback from Benny on the 20th Sept 2018. 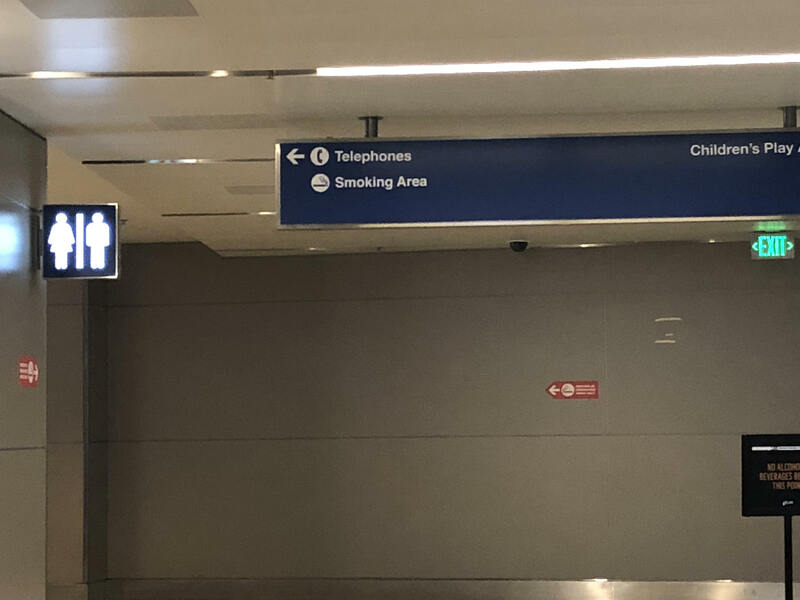 Update from Greg on the 2rd Sept 2018: You might want to add that there’s connections after security to T4 as well for the smoking areas, can’t confirm others but i believe they might all be connected by now. Tom Bradley International Terminal at LAX terminal still exists. Was a bit of a hike from Terminal 5, but it did the trick. Today is September 30, 2018. 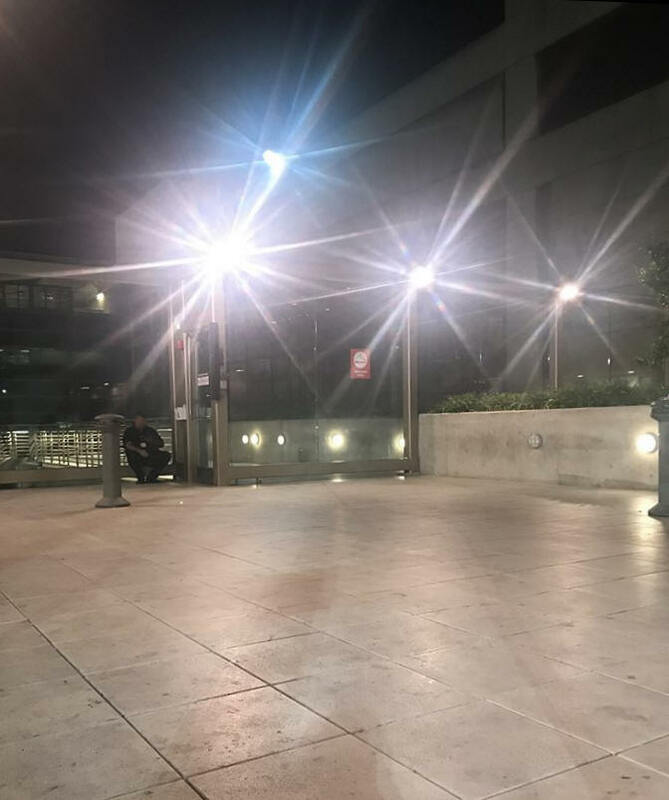 Chris M.
Update from Chris H on the 5th Feb 2018: I found the white whale in LAX tonight. 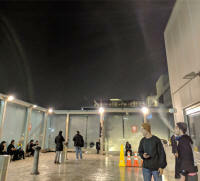 From terminal 5 (gate 56) to the smoking arena in TBIT was a solid 15 min walk, but no problems at all. There’s are maps to get through the terminals and everything. Thanks again. No Smoking area in Terminal 5 itself. 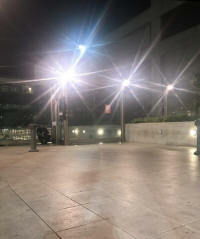 If someone has the time, I just walked outside of terminal 7 to smoke and walked back in pretty easily. 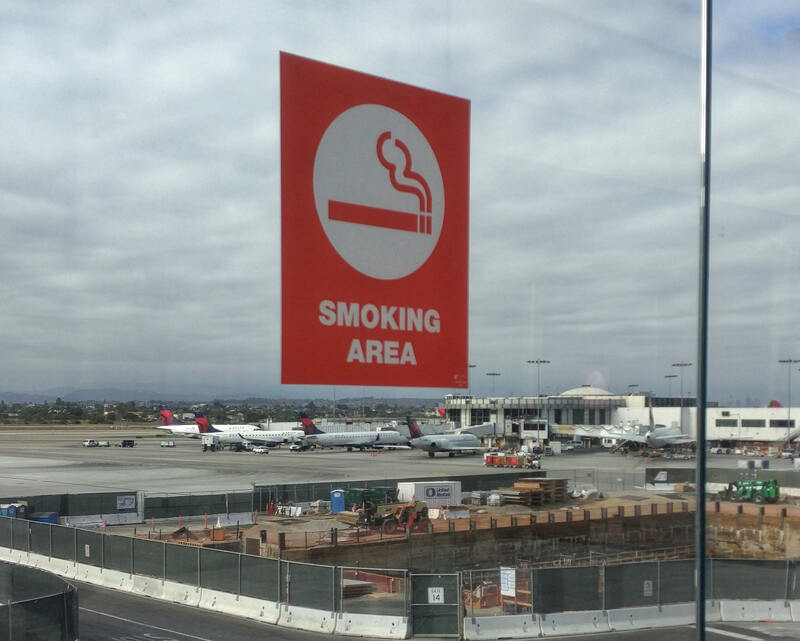 The designated smoking area is just outside United Baggage claim, in between the signs for united and united express. You have to clear security again, but it was mellow. It's early right now but it only took me about 30 minutes. Feedback from Carla on the 5th March 2018. 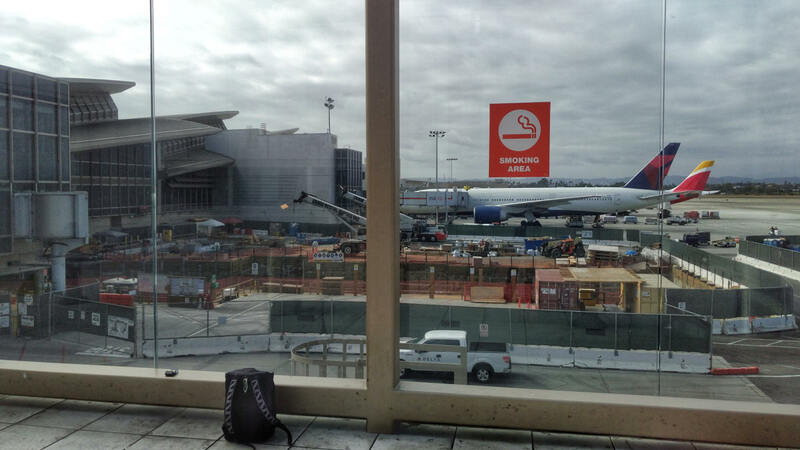 Terminal 7 has no smoking area, but is undergoing some remodeling so that may change in the future. Feedback from Allison on the 3rd September 2017. 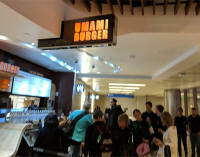 Smoking area behind Unami Burger in Tom Bradley terminal. Sign to smoking Balcony provided by Ivan.